By admin in Holy Hour on January 13, 2018 . I’m so happy a friend sent me this site. Could we add Our Lady of Sorrows rosary, since this was when her first Sorrow occurred ? As noted in our “Holy Hour” link, what we offer, other than the necessary recitation of the Rosary, are suggestions. 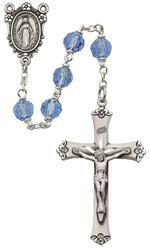 You certainly should feel free to pray the Our Lady of Sorrows Rosary in addition to the Rosary. Thanks you very much for your participation. Thank you for doing this for our Church that is in crisis. Our Holy Father Emeritus Benedict XVI was right: “The bark of Peter has capsized and is taken in water” We must keep on praying asking the Holy Spirit to give our Holy Father Francis the wisdom to deal with the crisis.